See It In 3D Before You Build It. 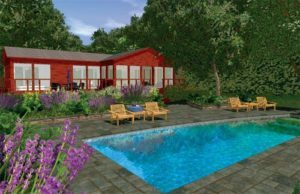 Your swimming pool is a major investment that will increase the value of your home and provide countless hours of outdoor enjoyment for years to come. You want to make sure your pool area is perfect down to the smallest detail. 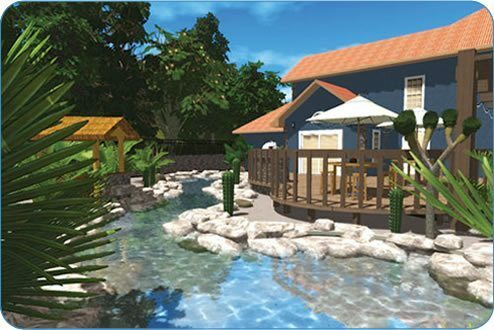 To help you make the right design choices, Liquid Assets Pools proudly uses Pool Studio, the industry leader in professional 3D swimming pool design software. Through Pool Studio, Liquid Assets Pools can help you conceptualize, envision, and build the pool of your dreams. 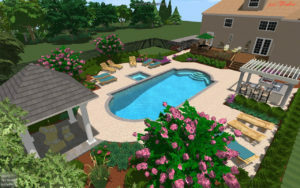 Position Pool Studio’s virtual camera lens at any location, at any angle, to see how beautiful your new pool will look. Stand at one end of your pool and lift your gaze across to the far end. Turn your head left, turn your head right, and take in the view. Walk along the pool’s edge and see the water rippling against the tiling. Stand on the diving board and almost feel the warmth of the sun reflecting off your pool’s surface. Admire your pool from the neighbors’ yard. From your upstairs. Even from your kitchen window. 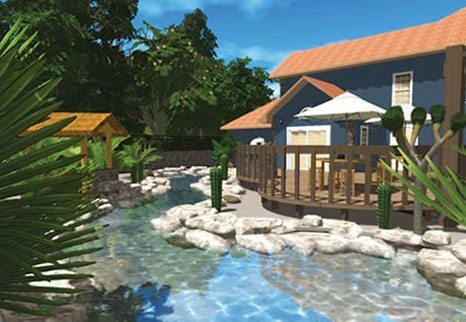 See your new pool as it will look in real-life. Extend your pool in any direction. Add a slight sparkle with a premium PebbleTec finish. Select a beautiful stone deck. Now try brick. Try stone again. Swap out the tiling for a new pattern. Try a traditional design theme. Try something modern. Position a wrought-iron fence. Move the gate. Add a gate. Plant bushes and trees. Add deck furniture. Change the upholstery. Make sure all the colors complement your house color. Add a fountain, then make it higher. View your pool at night. Add a waterfall, then transform it into a sheer descent. Position down-lighting around the deck edge and admire your pool under a night-time sky. 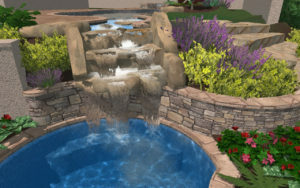 Let Liquid Assets Pools immerse you in your future backyard with a fully-interactive 3D presentation. Gain the confidence that even the smallest detail of your pool will be perfect before any construction begins. With an outstanding reputation for the highest quality, Liquid Assets Pools invites you to contact us now for a free consultation. We know you’ll be amazed at how easy and affordable it is to make your swimming pool dreams come true.